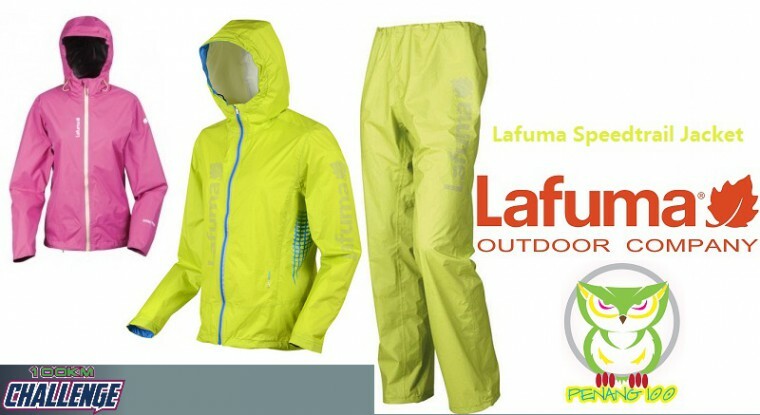 Thank you Lafuma Malaysia for sponsoring 2 sets of Lafuma Speedtrail Jacket (RM1,048 each with a total value of RM2,096) for the winner of 100km Ultramarathoner Men and Women Champions. The proven Lafuma Climactive membrane provides optimum protection against rain (rating 10,000 mm) and wind, but is flexible enough to ensure freedom of movement and high breathability. When every gram counts, this jacket and pants is unbeatable. An ergonomic fit. The jacket comes with attached hood and the adjustable hem while the pants comes in flexible elastic cord for better fit. The set is compact and featherlite with only 150 grams for jacket and 100 grams for pants..